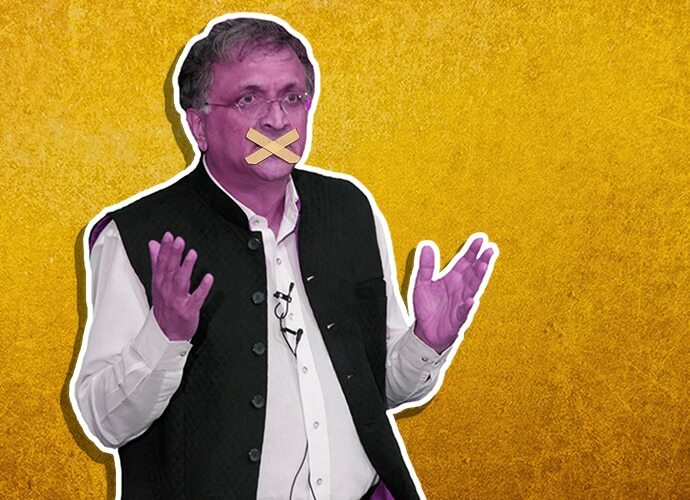 Why are liberals mad at Ram Guha? Historian, political commentator, author and columnist Ramchandra Guha fancies himself as a liberal. His critics, however, disagree. Vehemently. But why are Guha’s liberal credentials suddenly a matter of contention? It may have something to do with a column Guha wrote for The Indian Express, in response to another column by civil rights activist Harsh Mander, his “friend of some 40 years”. He further argued that the Bharatiya Janata Party (BJP) has succeeded in a “toxic majoritarian reordering of the rules of India’s political game”, managing to render Muslims not just irrelevant but also political bogeymen “whose visible support will frighten away all other voters”. Mander ultimately argues that if the so-called liberal and secular political parties (Congress in this instance) surrender to the “majoritarian common sense”, there is little that can be done. He urges ordinary citizens to do what they can to make sure Muslims in India are treated not as second rate citizens, but equals. While Mander’s criticism was directed towards Sonia Gandhi, the Congress party and Hindus in general, Guha, who once famously noted “Historians cannot have political or religious leanings,” took it upon himself to do exactly the opposite and respond in the form of a decidedly provocative piece titled “Liberals, Sadly”. The historian's tirade begins with a false equivalence that has garnered much hate on social media. Where Mander’s column quotes a prominent (yet anonymous) Dalit leader asking Muslims to come “in large numbers to our rallies... but without skullcaps and burkas,” Guha likens this call for a certain dress code to the supposed liberal disdain for trishuls or tridents — a prominent symbol and weapon often used by fringe Hindu groups. Not only did Guha compare pieces of clothing to actual weapons, somehow implying they are equal in any and every respect, he partook in the classic privileged-entitled-male pastime of commenting on what women or oppressed minorities should wear and how they should behave — of course, under the guise of emancipation and liberalism. Guha continues with false dichotomies when he says “one should recognise that discrimination by caste and especially gender is pervasive among Muslims too”, while vehemently clarifying that he detests “Hindutva majoritarianism” as much as Mander does. Needless to say, his column was not well received on Twitter. "While a burka may not be a weapon in a symbolic sense it is akin to a trishul..."---lead opinion in Indian Express today. Thank you Ram Guha for enlightening us. I'm about to start wearing a burka now. I have to say I find this a deeply troubling argument. If you set up this hierarchy of acceptable symbols, who do you end up keeping out of public spaces? Surely Muslim women in burqas have as much right to be present at a public rally as any other citizen. As a liberal Muslim, I find this article problematic. Not just the burkha part but also with the patronising term ‘medievalist ghettos’. Excuse me, Muslims are denied housing in most areas. And what’s this need to ‘integrate’ Muslims? Are we outsiders who need to be integrated? Ramchandra Guha may be a man of many laurels. But as far as his views on Islam go — especially the ones evident from his writing — he is definitely not a liberal.